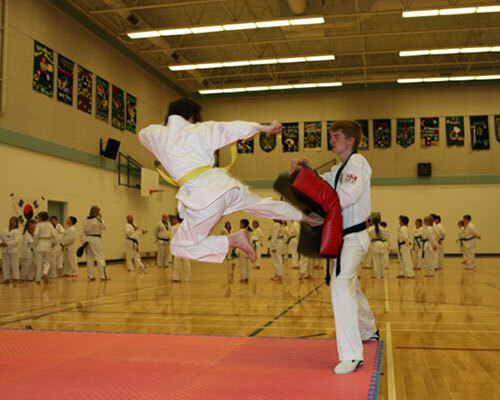 Established several years ago, Valleywide Taekwondo, now known as Champion Taekwondo Penticton, has been home to many students who have gone on to become incredible assets to their schools, their families, and their careers. Under the guidance of Master Mike Adams, 5th degree Black Belt, our students have greatly benefitted from their training, as well as their friendships with so many of their fellow students. 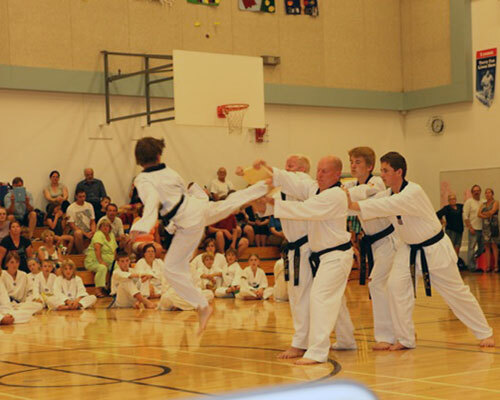 Our emphasis is on having fun as well as enjoying all the steps involved in becoming martial artists. 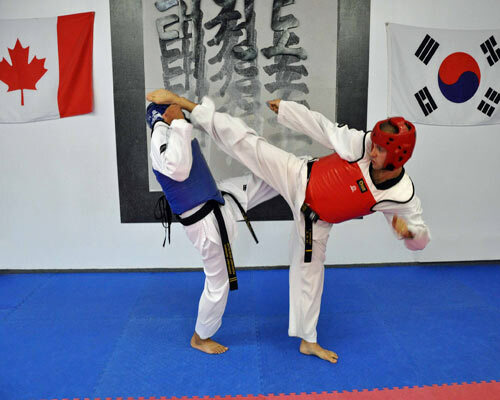 Taekwondo is a Korean martial art which was originally derived from the Japanese martial art of Karate but which has evolved into its own world renowned martial art discipline. Taekwondo programmes promote motor skill development, physical fitness, discipline, respect, self-defense, building confidence, with the overall goal of having fun as you work hard!
. 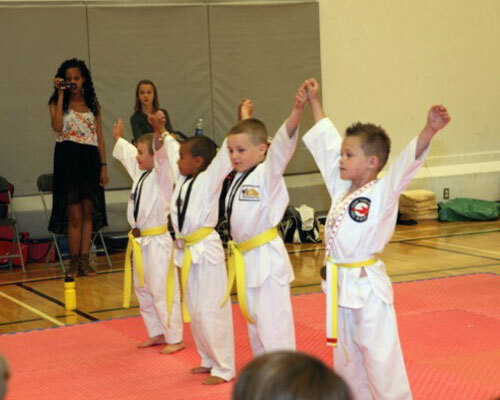 Progressing through Taekwondo belt levels is fun and challenging for any age group. 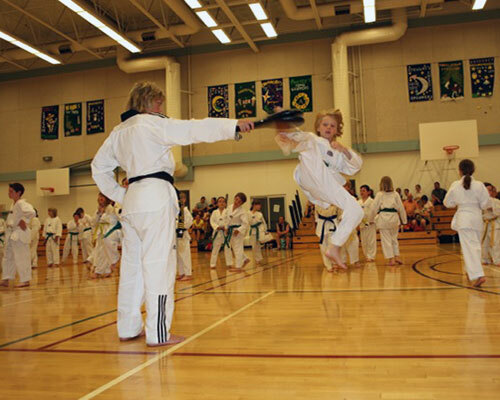 Champion Taekwondo Penticton follows the World Taekwondo Federation style (WTF). Another style practiced by many taekwondo schools around the world is governed by the International Taekwondo Federation (ITF). The overall idea is the same, but the patterns and styles of sparring do differ. Our School of Champions - flexibility and fun!